Elevate Your Brand at the #1 Travel Show Series in the U.S.
Place Your Brand in Front of An Audience Looking to Book Their Next Trip With You. 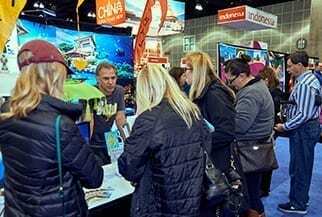 Maximize visibility, increase ROI and meet face-to-face with over 180,000+ pre-qualified travelers already in the buying process at the Travel & Adventure Shows. 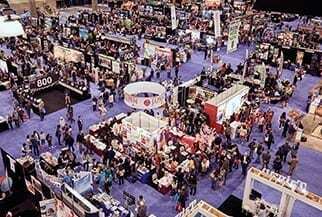 In fact, 78% of attendees that attend the show, buy a trip from a destination or supplier that they met at the show. As the premier marketing outlet in the travel industry, this is the only opportunity you’ll have to connect with ready-to-buy travelers who are coming to the show to meet YOU. Reserve Your Booth Space Today to Reach Travel Buyers in 10 of the Top DMA in the U.S! 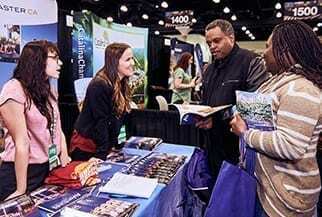 The Travel & Adventure Shows are located in 9 top gateway markets across the United States. 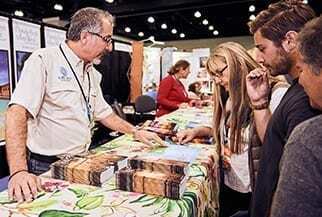 The Travel & Adventure Show series provides tour operators with ready-to-book consumers looking to plan their next vacation. 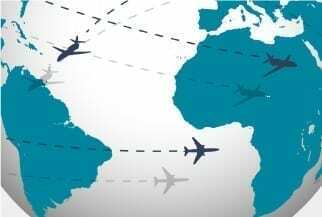 Connect your product with tens of thousands of ready-to-buy travel enthusiasts. 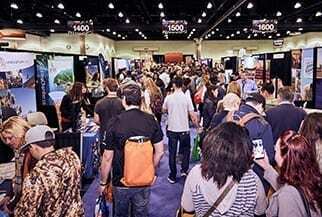 At the Travel & Adventure Show, you’ll be among the top travel brands from across the globe.